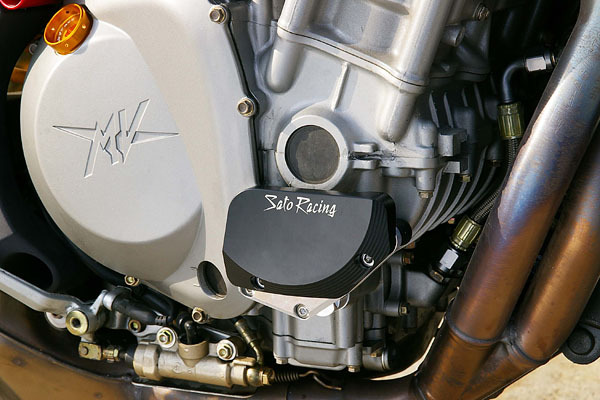 SATO RACING Engine Sliders for MV Agusta F4 and Brutale feature slider pucks CNC-milled out of high density, abrasion-resistant DELRIN plastic for optimal protection of the engine case and other exposed parts from scrapes or more serious damage if you lay it down at speed on the track. 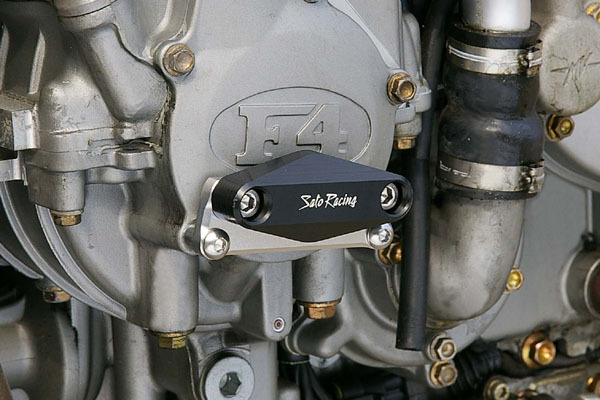 Engine Sliders are mounted with high strength anodized billet aluminum brackets and spacers, and stainless steel bolts. MV-BRUESL-BK - Fits F4 (all) and 2001-09 Brutale series. 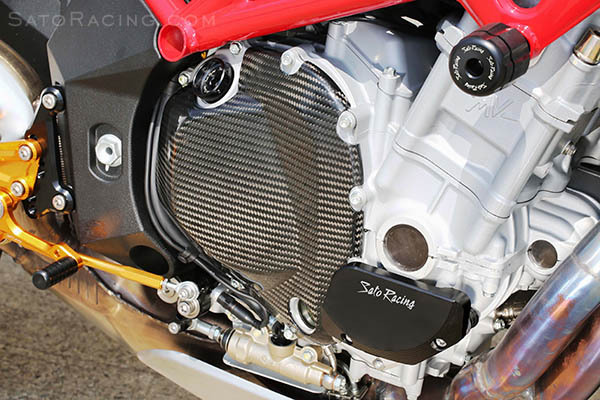 MV-BRU10ESL-BK - fits 2010 and later Brutale (990R/ 1090RR). The Right Slider ( MV-BRU10ESR-BK) fits Brutale only (all years/models except Brutale 675/800. Note: Mods will be necessary if installing on bikes equipped with the optional belly pan fairing). Left and Right sides sold separately. 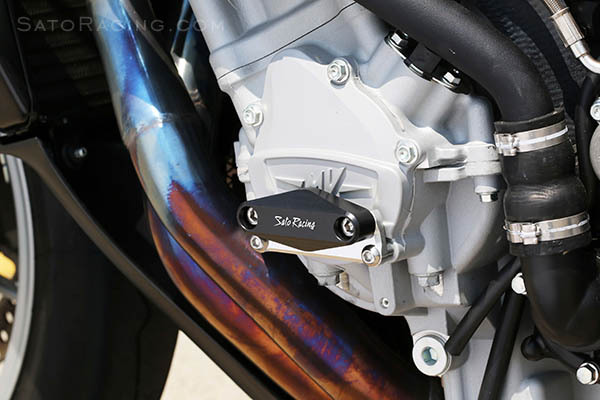 to install on 1090RR's equipped with the optional belly pan fairing. 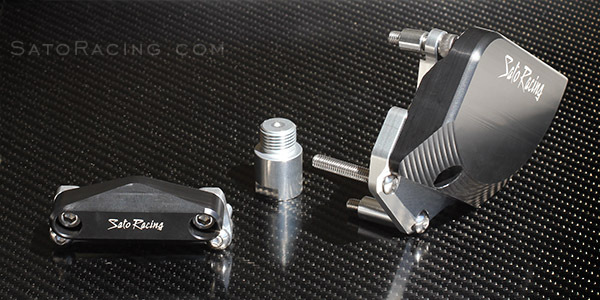 parts list included with your Sato Engine Sliders.